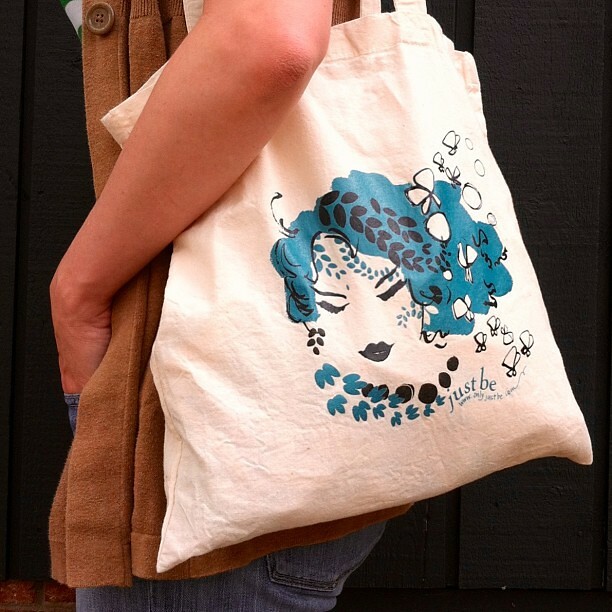 We recently had the pleasure of collaborating with Just Be, a store that supports independent artists and designers, on this reusable screen printed tote bag. Make a purchase today, either in the store or online, and receive a complimentary bag in celebration of Earth Day. Just Be is the only place this bag will be sold and once they run out, there will be no more! lovely tote bag - awesome job!